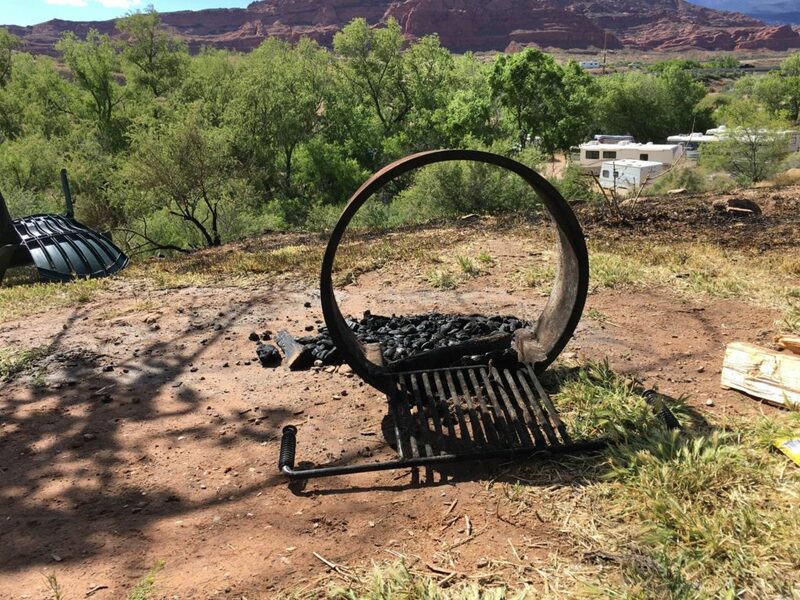 WASHINGTON COUNTY — A small fire was quickly doused by bystanders after a camper’s burning paper plate was blown out of a fire pit and ignited the nearby dry brush. 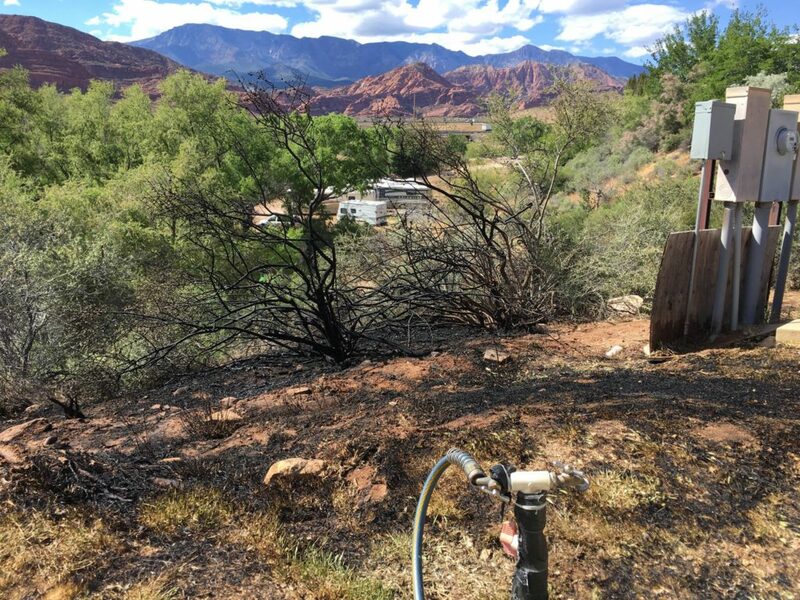 At about 4:10 p.m., Hurricane Valley Fire responded to a 911 call for help with a brush truck and engine at the KOA campground near Harrisburg Estates off of Old Highway 91. Witnesses Justin Preas and Jessica Lopez had just arrived at their camp spot when the fire started at a nearby campsite. “They had started their fire and the wind took it, and they left to get help,” Lopez said. Lopez called 911 to report the fire as Preas and his mother jumped to action to put the flames out. 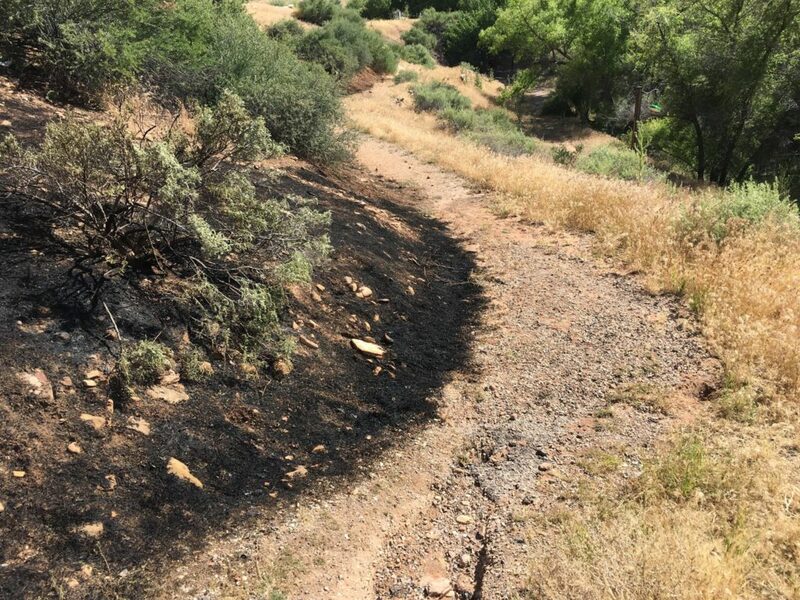 As they attempted to control the fire by covering it with dirt, a KOA employee arrived with a water hose and helped douse the fire as it spread through the brush on a hillside just below several campsites. 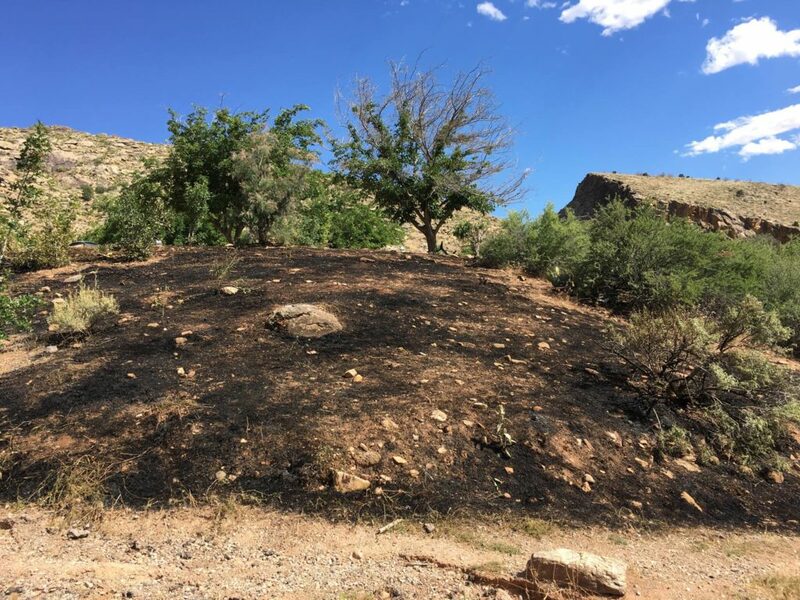 Their combined effort brought the fire under control before emergency responders arrived. “It was pretty much all out,” Lopez said. The responding fire personnel put out remaining hot spots and ensured the fire was completely out. 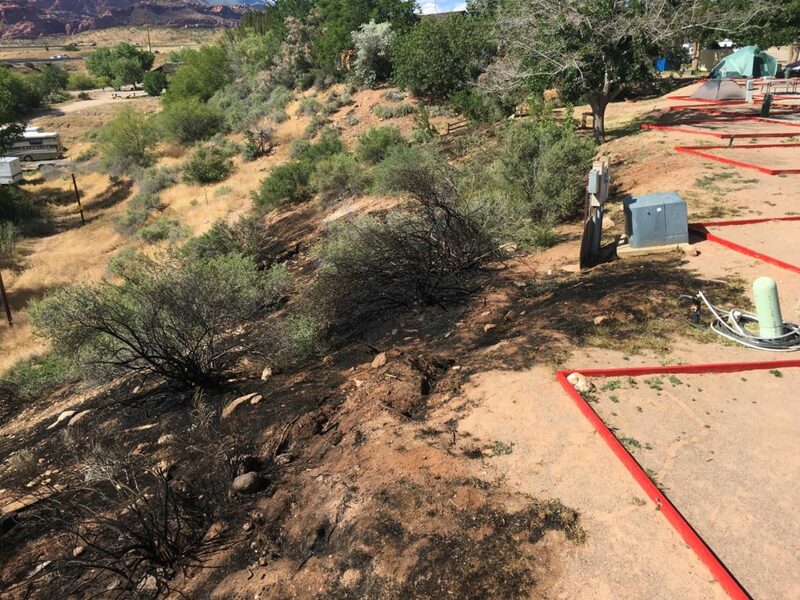 No property was damaged in the fire, but it came close to the adjacent camp sites. “We were getting ready to put our tent up.” Preas said. 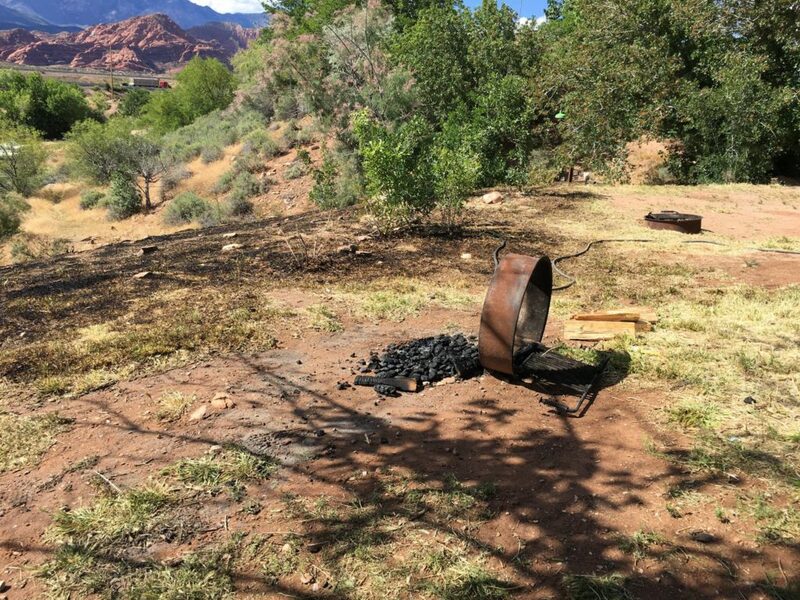 They were lucky with timing, he said, realizing that the tent may have burned if it had already been set up when the fire started, given the proximity of the flames. This report is based on preliminary information provided by witnesses and may not contain the full scope of findings.